List building can be difficult if you’re just starting out and still trying to figure out the process. Top marketers are seasoned in building lists and it’s always best to follow the steps of veterans. This audio lays it out in simple steps right from the very best marketers. You’ll learn the exact methods in building your list like a pro. That means knowing how to entice users and turn them into followers and subscribers. When you build a real relationship with your subscribers, that’s the pivotal step towards getting them into your funnel and profiting. Nobody is willing to just throw out cash so quickly which is why you need to be in a position where you’re a trusted voice in your industry. Would you take weight loss tips from the neighbourhood slob or from a professional trainer? It’s fairly self explanatory. Make yourself the expert and your list will grow. 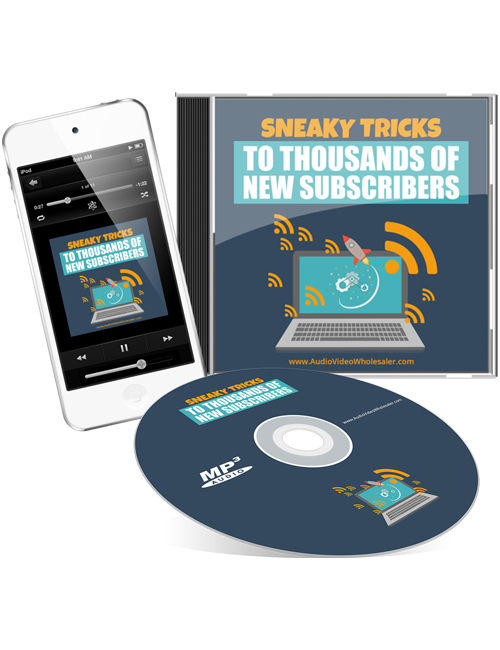 This audio explains it all including how to speed things up and get your list expanded even quicker than normal.